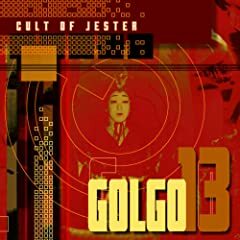 I happened to notice on my entry at discogs.com that there as a google ad for my album Golgo 13. I clicked on it, and I found that people were selling my album on Amazon for $25 used and $30 new. So I added my own listing. You can buy brand new, still sealed copies of Golgo 13 from me via Amazon for $6 + s/h. If you want to hear samples, check out the COJ Myspace page. The irony is the album is not even posted in the discogs.com catalogue. I don’t even have a copy hint hint. I just have all the demo tapes and the debut album, all of which I put up on the site myself. Dude, yeah, drop me an email and I’ll send you a copy. I don’t even have copies of the really early demo tapes. I do have a couple things on DAT, but hell if I know where to get that transferred to CD or something nowadays.